Natural Devon is a collaboration of all those working to ensure that a healthy natural environment underpins a high quality of life across the county. Please get involved. We are delighted to announce that our second annual lecture will be given by Professor Dieter Helm CBE, Fellow in Economics at Oxford University and Chair of the Natural Capital Committee. His recent books include Natural Capital: Valuing the Planet and Nature In the Balance. The lecture will be held at 6.30pm on Thursday 6 April in Exeter and will discuss why and how the environment should be at the core of economic planning. To book a place please email Tom.whitlock@devon.gov.uk. 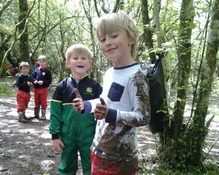 Organised by the Devon Education for Sustainability Working Group (DESWG) this conference is aimed at educators at every stage of learning who seek inspiration and support to develop outdoor learning and environmental education. The 2016 conference was a great success so book now to avoid disappointment! See our website for further details and how to book. The Devon Japanese Knotweed Forum has now evolved into a Devon Invasive Species Initiative as part of the LNP. The aims of the initiative can be found on new invasives pages which will be developed as priorities are agreed. The Devon Initiative has become one of the GB Non-Native Species Secretariat Local Action Groups allowing us to network nationally and tap into national funding sources if available. Contact Kate Hills khills@southwestwater.co.uk or Jeremy Peirce jpp@jp-associates.co.uk to get involved. Devon, Plymouth and Somerset LNPs have recently met with the Heart of the South West Partnership (which includes Devon and Somerset Local Authorities and the Local Enterprise Partnership) to discuss devolution and the development of the Partnership's Productivity Plan which aim to address the productivity gap between this area and the rest of the UK. The plan refers to Natural Capital and states that the 'HotSW is the ideal location to trail blaze natural capital-led productivity growth'. LNP partners are working with the HotSW Partnership to discuss how to make this happen. The Plan is out for consultation until 10th March. The South West Partnership for Environment & Economic Prosperity (SWEEP) is a new initiative funded by the Natural Environment Research Council (NERC). A partnership of three research institutions (Plymouth University, Plymouth Marine Laboratory, and led by the University of Exeter) SWEEP has secured a £5m award to help delivering economic and community benefits whilst also protecting the beautiful natural resources and the jobs dependent on them in the South West. The LNPs are a partner in this project and further updates will be provided. A new blog has been launched on our website allowing Board members and others to share their views and stimulate debate on current topics. Our first blog is from our Chair, Suzanne Goodfellow and the March blog will be from David Weatherly, Board lead for Outdoor Learning. To help us join up on key messages and campaigns we have developed a simple Communications Plan which gives an overview of Devon LNP activities for 2017 and other key campaigns / partner events. The Plan will be regularly updated so please email max.anderson@devon.gov.uk to add any key campaigns. A series of training workshops are being organised to help engage our target audiences (those of us who are inactive, suffering from mental health issues or socially isolated). These will include a workshop on Dementia Awareness on 13th March. Details are being finalised and will be shared shortly. To help take forward our Naturally Healthy Campaign the LNP's Naturally Healthy Working Group is submitting an expression of interest for funding from the Sport England Tackling Inactivity Active Ageing Fund. This aims to get inactive people aged 55+ more active by connecting them with nature. To find out more please contact Hannah.Colston@activedevon.org. We will keep you posted but massive thanks to Hannah and all others involved in this bid. In November last year our Chair, Suzanne Goodfellow, spoke at a joint conference (organised by the SW LNPs, NHS and Public Health England) aimed at raising the awareness amongst health professionals of the value of the natural environment. We have had follow up discussions with Pam Warhurst, national LNP lead for health, and SW LNPs are meeting in February to discuss next steps. The Work Place Challenge is encouraging us all to be more active through walking or cycling to work. Get involved in the The Big Devon March walking challenge (March) and The Ride to Work Week (13th-19th March). If you work in Exeter, Barnstaple or Newton Abbot contact traveltowork@devon.gov.uk to find out how they can support your workplace. Where possible build in a route that involves contact with nature to ensure a great start to the day and if you do have a great 'naturally healthy' commute send us a pic! Build for Bees Competition - a heads up! 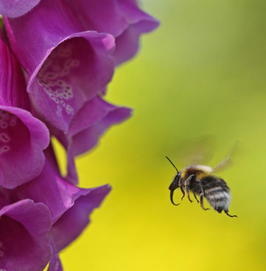 Many bumblebees are in decline and two species have gone extinct since the start of the 20th century. Through the Bumblebee Conservation Trust’s West Country Buzz project Devon landowners are adopting pollinator-friendly land management practices through the Countryside Stewardship Scheme: Wild Pollinator and Farm Wildlife Package . The Tarka Country Trust has received Lottery funding for a three year project which will help community groups manage verges for wildlife. Visit their website to learn more. Wolf + Water Arts Company have obtained Lottery funding to work with a range of community groups to use the arts to explore local plants and celebrate the life of the Reverend Keble Martin, who was the vicar of Torrington, & author & illustrator of “The Concise Illustrated Guide to British Flora”. Visit their website to find out more and get involved. 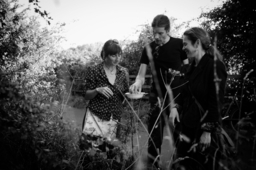 Image: Artist Anne-Marie Culhane leads a wild food bike foray in the Riverside Valley Park. The North Devon Coast AONB has recently launched a project which focuses on the diverse marine and coastal natural heritage of the AONB. Coastal Creatures provides citizen science opportunities to learn about the flora and fauna of these diverse coastal habitats. Visit the Coastal Creatures webpage or contact catherine.oliver@devon.gov.uk. 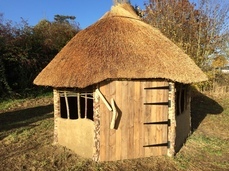 Edwards & Eve Cob Building are award winning earth builders and cob teachers. Together Kate Edwards and Charlotte Eve built their own home from cob and have taught thousands of people around the world how easy it is to build their own affordable and sustainable homes from cob too. They also run exciting earth building workshops in schools. Visit Edwards & Eve Cob Building webpage for more info. 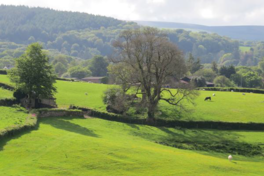 Following publication of the LNP's Devon Ash Dieback Action Plan a Devon Ash Dieback Resilience Forum was established in July 2016, led by Devon County Council. The Landscape and Ecological Resilience Group is led by Rob Wolton, Chair of the Devon Hedge Group. To find out more contact him on robertwolton@devonhedges.org. An outbreak of sweet chestnut blight, which is caused by the fungus Cryphonectria parasitica, has been confirmed at two sites close to each other near Exeter, Devon. Further information, a symptoms factsheet and pest alert are available on the FC website. The 2016 LNP Project Pipeline highlighted that a priority for the county was the need to take a more strategic approach to opportunities relating to sustainable land management and flood risk. A group of specialists was brought together and FWAG SW was commissioned (using DCC Flood Team funding) to produce a report setting out possible actions. The report ‘Innovation in Agricultural Resource Management’ was published in late 2016. The group will continue to work together on both the potential to collaborate on natural land management projects at the local scale, whilst also looking for opportunities to progress larger scale, strategic objectives. Magnificent Mires is a new partnership project between Devon Wildlife Trust, Dartmoor National Park, Dartmoor Preservation Association and the Duchy of Cornwall; supported by the Heritage Lottery Fund. Over the next year the project will reveal and celebrate the blanket bogs hidden secrets through a programme of events, activities, school visits and walks. For more info visit the Devon Wildlife Trust website. 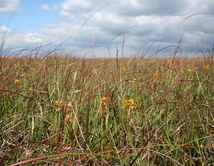 Image: blanket bogs in bloom on Dartmoor. Copyright property of Dartmoor NPA. Devon's beavers - your perceptions? Also see information on the DWT River Otter Beaver Trial web pages.